The first CSA of the year arrived! Seeing the box made me happy I decided to do go for it again this year. I think this year’s CSA is going to suit us well. First, it’s getting delivered to our house. Going to a drop off point was fine last year, especially since the CSA I subscribed to last year started in the summer and school was out. Now it’s a tougher for me to drive about 20 minutes away to get our produce because my commute time already is a hefty 45-60 minutes. Second, we’re getting a smaller box (5/9 of a bushel) every week. Getting a bushel of fresh veggies every two weeks was more than I could reasonably cook through before at least some of it went bad. Lastly, Tomato Mountain, the CSA provider, emails both before and after a drop-off is about to occur. Instead of guessing what’s in the box like I did last year — admittedly it was very fun — now I know exactly what I’m getting. Please know that we loved last year’s CSA provider, Angelic Organics. I cannot say enough about our CSA experience and we loved visiting the farm and making goat milk ice cream. It was one of the highlights of our summer and we plan on visiting again this year. You know, there has never been a time in my life where I went to the grocery store and bought four bags of lettuce. I have never done that. So four bags of greens to be eaten in one week? That’s a challenge for me. My husband said very seriously, “This is a sign that our family needs to be eating healthier.” I thought that was funny considering I bought and paid for this “sign.” The first recipe I made was Turkey Taco Salad, which is what I did last year, too. It’s just too, too easy. We used the second lettuce from the top as the basis for the salad. I cannot say it enough: I love a good taco salad. What’s so funny about this experience is that I’m looking at these lettuces and a thought comes into my head, “Is this lettuce safe?” I buy the plastic boxes of organic spinach that are made in massive batches on large farms and I never question the safety of the industrial produced variety, yet the stuff that I’m getting straight from the farm… I wonder about *that*?? For me, that thought forced me to acknowledge my backwards thinking. 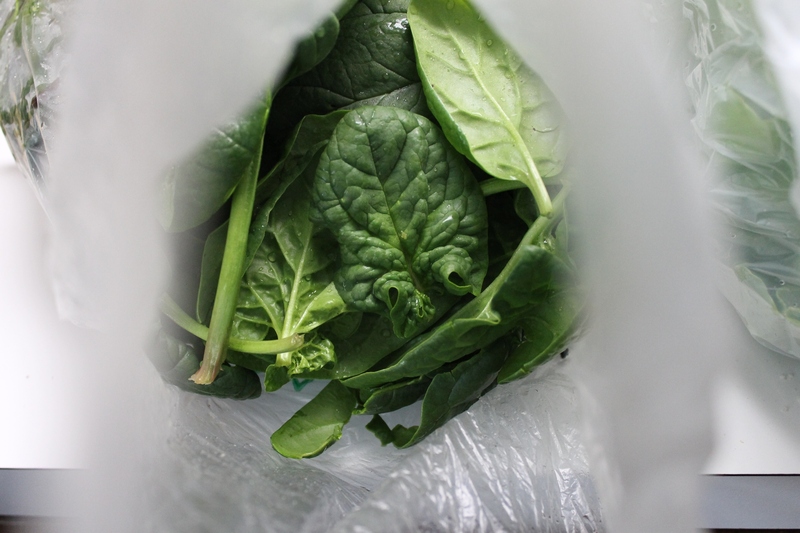 I actually even had a box of plastic spinach in my fridge — it looks nothing like that farm fresh stuff — and now I’m going to wonder about that stuff. The output of the farms first few weeks was lower than they had expected. 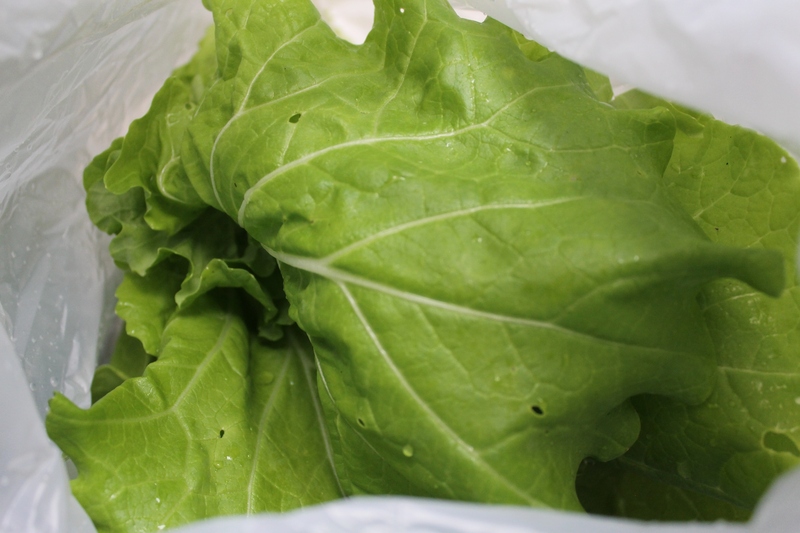 They grow their greens in hoop houses and when for about 10 days in March we experienced a freak 80 degree heat wave, the lettuces were negatively affected. In an email, Tomato Mountain said that the high heat was not ideal for cooler loving lettuce. The CSA managers decided to throw in a jam because they felt bad about the “smaller” box. I have to say that I felt a bit bad that they gave us this amazing jam because part of signing up for the CSA is knowing that you either share in the farmer’s bounty or in their lower yields. It’s part of the inherent risk. Anyway, the stuff was a terrific, unexpected treat. Just wanted to introduce a guest blog about something you may have never even considered before: eating flowers. Please exercise caution when eating flora and discuss this with a medical professional if you have health concerns. Since some flowers are toxic, this is something not to be taken lightly. However, if you are at a restaurant and they place a flower as a garnish on your plate, I believe that everything on your plate by law has to be edible. While I am in no way advocating for flowers to be added to lunch trays across the nation, I have to wonder how the USDA would classify flowers in terms of school lunch regulations…added fiber? In some fine dining establishments, edible flowers are sometimes used as garnish and for optimum food presentation. This can be done by the average home cook with the use of a little superfine sugar and depending on the type, possibly even your own home delivery flowers. Many flowers are toxic so this project should be done with caution. However, there are certain types of flowers which are perfectly safe for human consumption. Chamomile- This flower has a faint apple flavor. It is typically used to make a tea. Chrysanthemum- This flower has a slight bitter flavor and a pungent smell. Cornflower- This flower has a sweet and spicy clove-like flavor. English Daisy- This flower tastes leafy and tangy. Gladiolus- This flower tastes similar to lettuce. Fuchsia- This flower has an acidic flavor. Gardenia- This flower has a light sweet flavor. Impatiens- This flower has a very bland flavor. Lilac- This flower has a lemony flavor. Marigold- This flower has a bitter and spicy flavor. Lavender- This flower has a slight perfume flavor. Pansy- This flower has a mild to sweet flavor. Rose- This flower has a sweet aromatic flavor. Besides food presentation and garnish, another reason to cook with edible flowers is that some do provide health benefits. For instance, the Nasturtiums Tropaeolum Majus or watercress is a vibrant orange-yellow flower that has been used for medicinal purposes since the 1800s. The Incas discovered this and added these flowers to their food to relieve ailments such as chest colds, the flu, and scurvy. Today we know that watercress contains flavonoids, vitamin C, amino acids, iron, sulfur, manganese and other antiseptic agents. 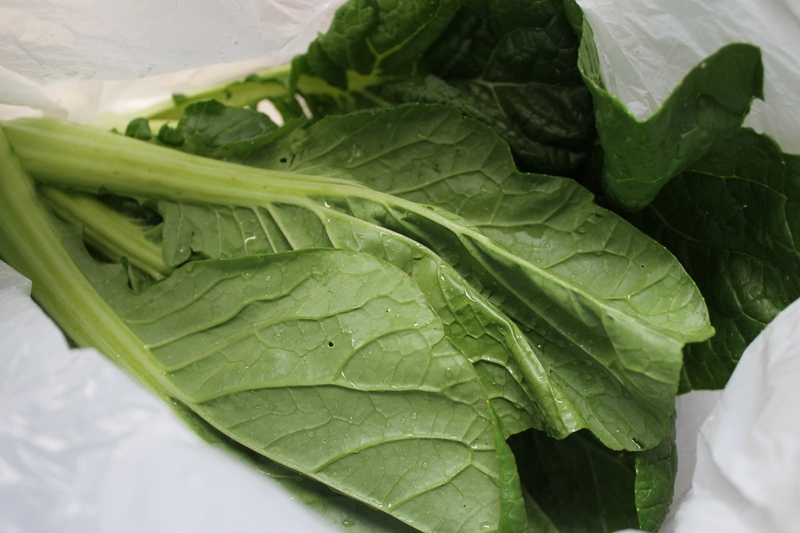 Because of its diuretic properties, it is also good for the kidneys and bladder. The hibiscus flower contains high amounts of antioxidants which will help to build the immune system and fight off infection. This flower is quite frequently consumed in the form of a hibiscus tea. 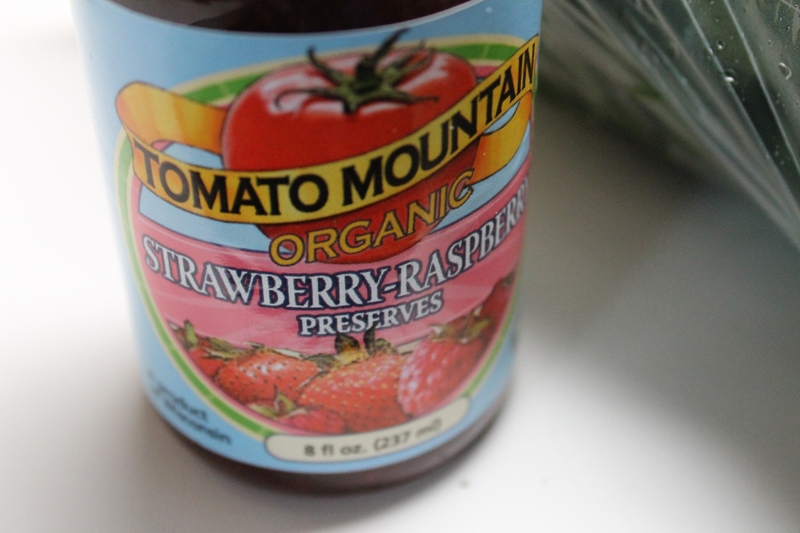 The subtle flavor isn’t overpowering and many actually prefer this over plain tea. Violets can be used an antiseptic, anti-inflammatory, to suppress headaches, psoriasis, and to treat urinary tract infections. Roses are rich in polyphenols, a strong antioxidant which will reduce the risk of heart disease and cancer. 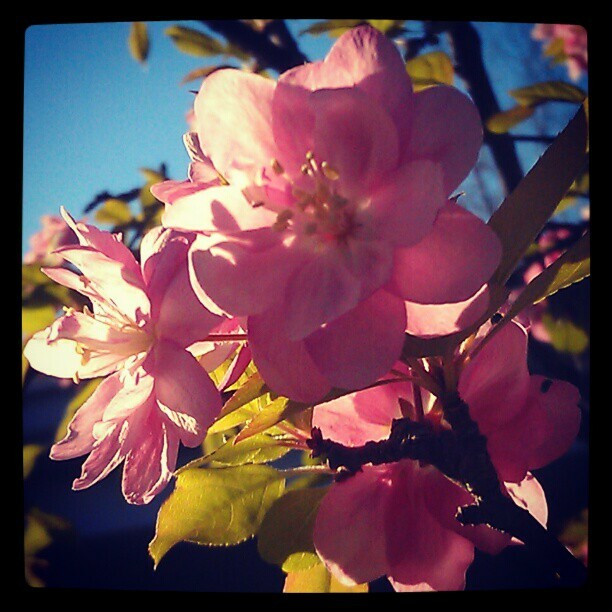 These flowers are also rich in vitamin C and bioflavonoids. Lavender petals have been used for thousands of years to treat stress as they directly benefit the central nervous system. Day Lilies are quite often used by the Chinese to detoxify the system. They also reduce jaundice, relieve hemorrhoids, and cure insomnia. The Lotus flower is known to be a strong antioxidant. It also has properties that allow it to protect the liver, reduce cholesterol, and work as an astringent. Dandelions are used in Europe to treat fever, eye disease, liver problems, and skin diseases. Remove the stem from the flower. Mix egg whites with 1-2 tablespoons of water. Hold the flower with tweezers and use the paintbrush to brush the petals with the egg white mixture. Generously sprinkle the flower with the superfine sugar. Set the flower on a tray lined with wax paper and allow to dry. Repeat this process. When the flower is completely dry, store it in an air-tight glass jar until you are ready to use it. It will keep for as long as one month as long as it is placed in a warm dry place. To make the saute’, in a large pan, heat the sesame oil over medium heat. 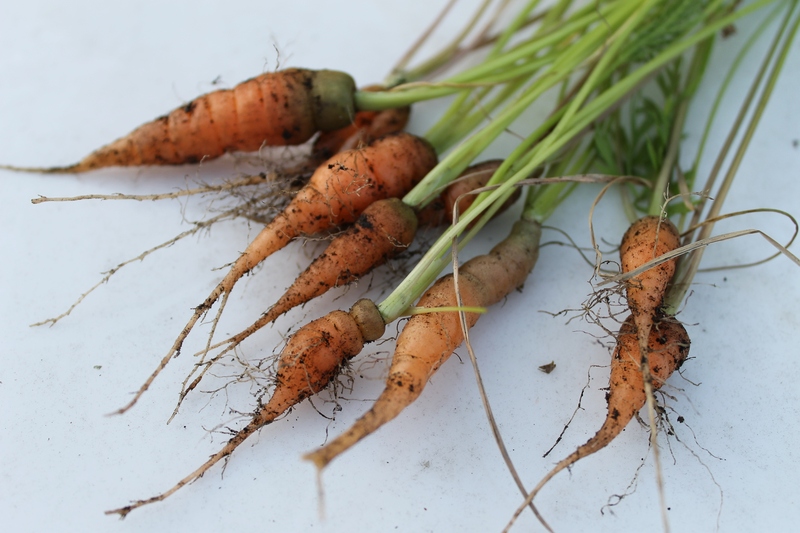 Add carrots, TVP, cashews or peanuts, and daylilies and cook for 10 minutes. For the sauce, combine miso, tofu, curry past, lime and arrowroot or kudzu in a blender and process until smooth. Pour sauce into saute’ pan and cook on low heat for another 10 minutes. Serve over yellow or brown rice. Preheat a broiler or grill to medium heat. Combine ½ cup extra virgin olive oil, balsamic vinegar, shallots, and dill weed. Season with salt and pepper to taste. Add chives and nasturtium flowers and stir. Use the 2 tablespoons of olive oil and rub all over the salmon fillets. Broil or grill the salmon fillets approximately 3 minutes per side. Thicker fillets will need more cook time, but be sure not to overcook. This fish can easily dry out. Place 2 cooked salmon fillets on each plate. Vigorously whisk the nasturtium vinaigrette to recombine. Liberally spoon vinaigrette over salmon fillets and garnish with chives. Serve immediately. The next time you have flowers to be delivered to a loved one, consider giving the gift of edible flowers. Your loved one will be delighted by your originality and good taste. Sorry for my absence, I’m getting back on my feet after a debilitating stomach bug. Maybe it was the 24 hour flu, but whatever terrible thing it was, I’m so grateful it’s over. I feel human again. But I’m behind on emails and responding to comments because of my illness. I just now finally have energy to type. 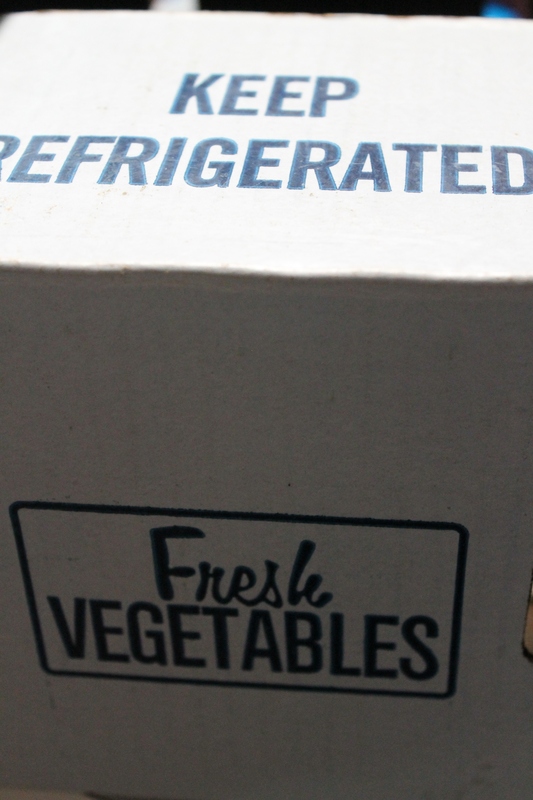 Our first CSA box arrived this week and I can’t wait to share it with you (blog coming next week). Now I just have to wait for the first Farmer’s market to really feel that summer will be coming. 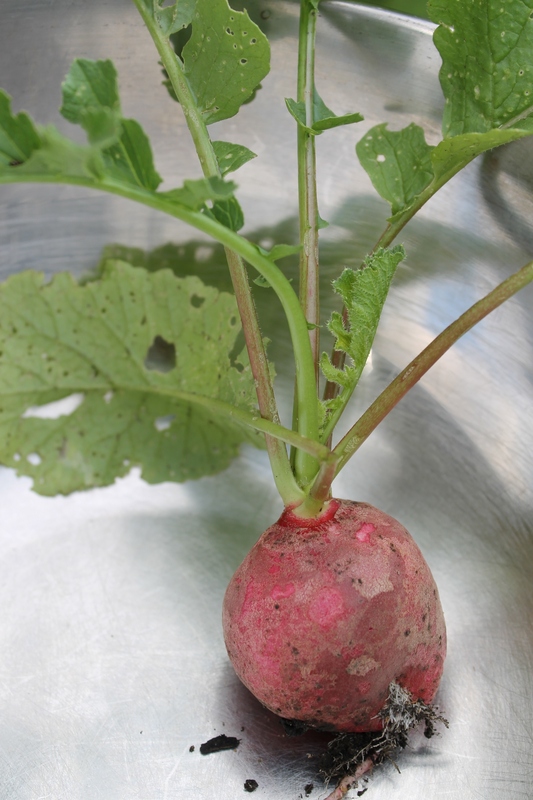 I know radishes come early in the season so I’m going to have to find some more appealing ways to prepare them this season (please share favorite recipes). We tried them chopped over salad raw and they were so bitter. I did try “radish chips,” which weren’t terrible. 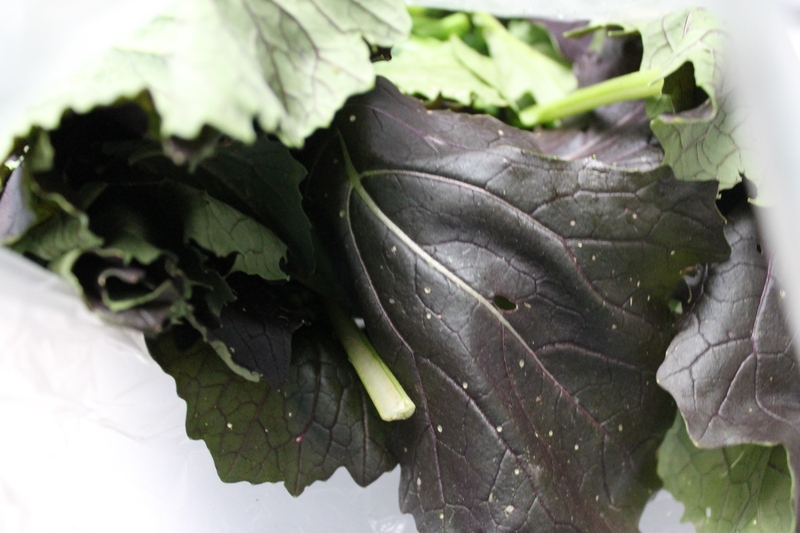 For the record: kale chips are way, way better. This year with our impending move, we aren’t really going to be able to grow very much. However, the Easter Bunny did bring Charlie a little spade and a little rake with a note that he should use them to grow carrots for the Easter Bunny, himself (such a selfish rabbit!). A little someone was highly motivated to plant so just last weekend my husband went outside to plant all of the seed packets we have left including a little packet of carrots. I didn’t want to dampen anyone’s enthusiasm with the trivial information about any impending frost between now and mid-May. I just figured that 30 minutes of digging in the dirt was good for both of them and can be repeated in the future. Even in July. 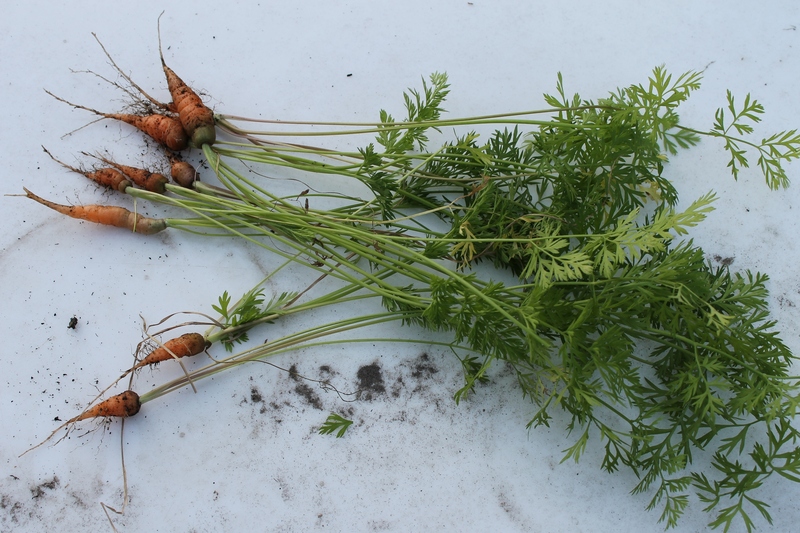 Last summer, we were so proud of our little carrots! 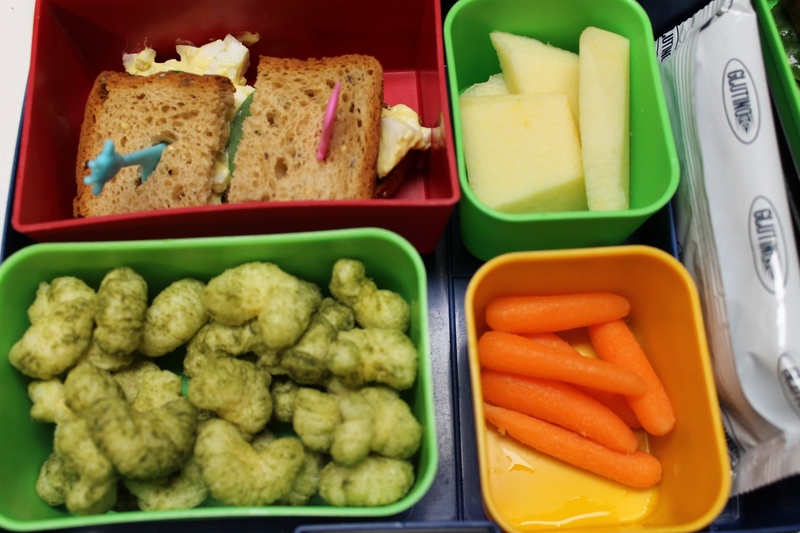 When people oppose school lunch reform, one of the comments I hear is “Parents should just pack a lunch for their kids.” If I hear that in the next week, I will have to hold myself back from laughing maniacally in their face. 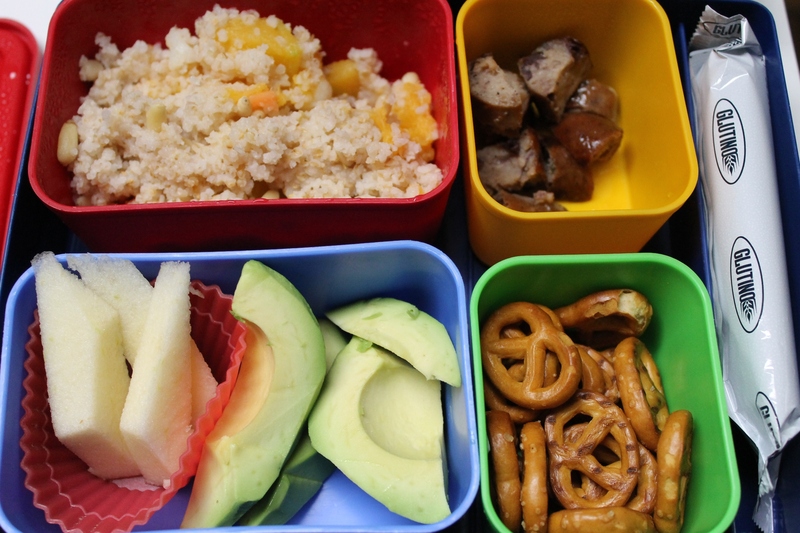 I started packing my son’s lunch for day care in September 2010 — it was after I watched Food, Inc. All my excuses for letting him eat regular food were kaput. I also took him off of all dairy products that month. And that October he went gluten free. So I’ve been packing his lunch for 18 months. I have come to loathe lunch packing. Recently it dawned on me that conservatively I have many years of lunch packing ahead of me. I started when he was about two and, well, I have at least seven years until he can do some of this himself, right? He helps me now, but he’s so unreliable. Charlie will say he wants something in his lunch and then he won’t eat it (I know because it comes back untouched). Worse yet I’ll pack something he loves at home and he won’t eat the same food at school. I don’t get it and I can’t predict what he’s willing to eat at school. Thankfully, I still have a reliable dinner eater…for now. Sometimes I think about keeping him home from school just so I don’t have to pack his lunch. Crazy, right? Lunch packing is making me nuts. 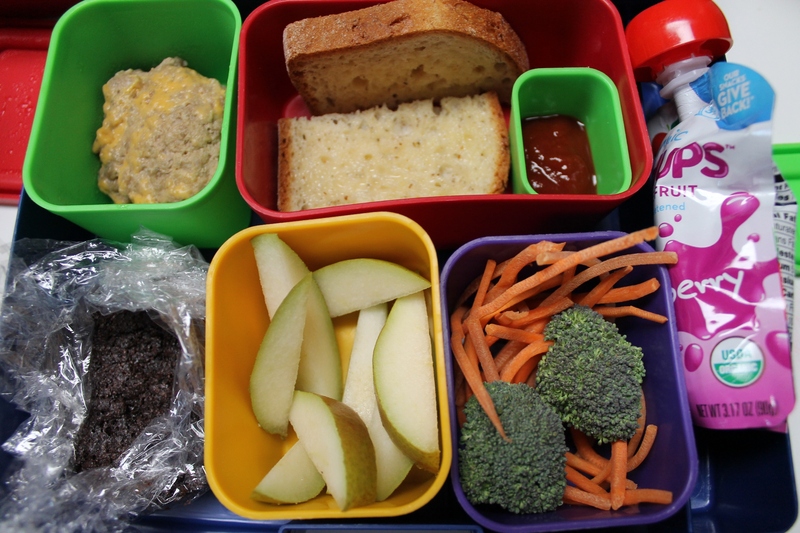 Packing a kid a lunch is not the answer to school lunch reform. Although it can be cheaper and healthier depending on the foods parents choose, it’s not sustainable over time for many families. I might just run screaming from my home and throw our son’s adorable laptop lunch bag into the path of an oncoming car. I’m so over it. *I’m still taking daily pictures of my son’s lunches, intending to put them on a new site for lunch photos. I’m still developing that concept. Thanks for your immense patience. 1. Actively solicit and incorporate workers’ input to improve school food. 2. Make a commitment to cooking by building working kitchens in all new schools and avoiding replacing cooked food with frozen. 3. Help lunch professionals reach their full potential through comprehensive training on cooking, serving and eating healthy food. 4. Encourage lunch professionals to partner with students and parents. 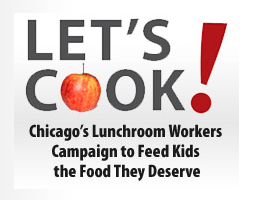 Chicago Lunch Workers Hit Streets Airwaves for Real Food! To start with, I never intended to write a book about children’s food! The idea for French Kids Eat Everything emerged from our experience of living in France for a year (in 2009). In 2008, soon after the birth of our second daughter, my husband and I decided to move back to his hometown in France—a small seaside village in northern Brittany. We were wondering whether we would actually want to move to France permanently, so decided to try it for a year. I had no idea what awaited us (apart from romantic clichés about fresh baguette and sidewalk cafes); although I’d visited France regularly, I had never actually lived there. The experience of living in France challenged my deepest beliefs about parenting and food. Our older daughter went to kindergarten at the local school, which was her first experience with formal schooling. 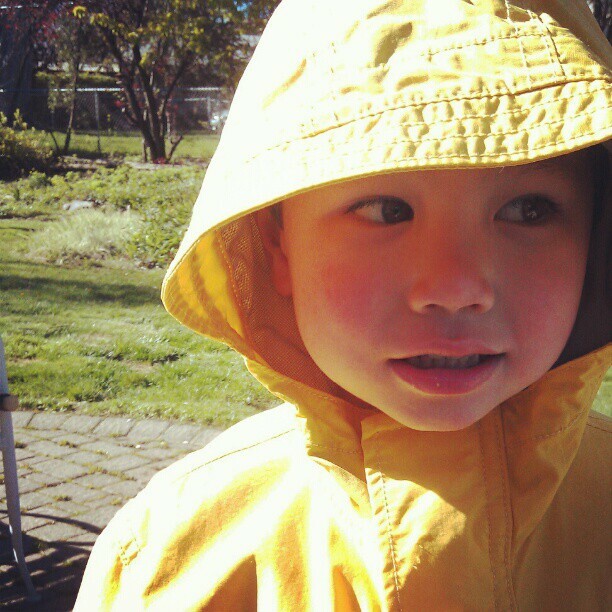 Our younger daughter (a toddler at the time) went to the village preschool. During the year, I was struck by the dramatically different way that French children eat. My children were typical North Americans: fussy (with a limited choice of foods they would agree to eat) and picky (often rejecting even some of the things that they usually ate). In contrast, their friends, relatives, and schoolmates seemed to eat anything and everything—cheerfully! I was intrigued. As the year progressed, I learned more about how both teachers and parents educate children about food. Fascinated, I began reading the scientific literature, and learned about cross-cultural research in psychology, sociology, and anthropology. This research gave me a deeper understanding of the differences I was observing. But most importantly, I learned from the families all around us. From them, I learned a set of simple rules and strategies they use to teach children how to eat well. ‘Eating well’, for the French, doesn’t only mean having good table manners. 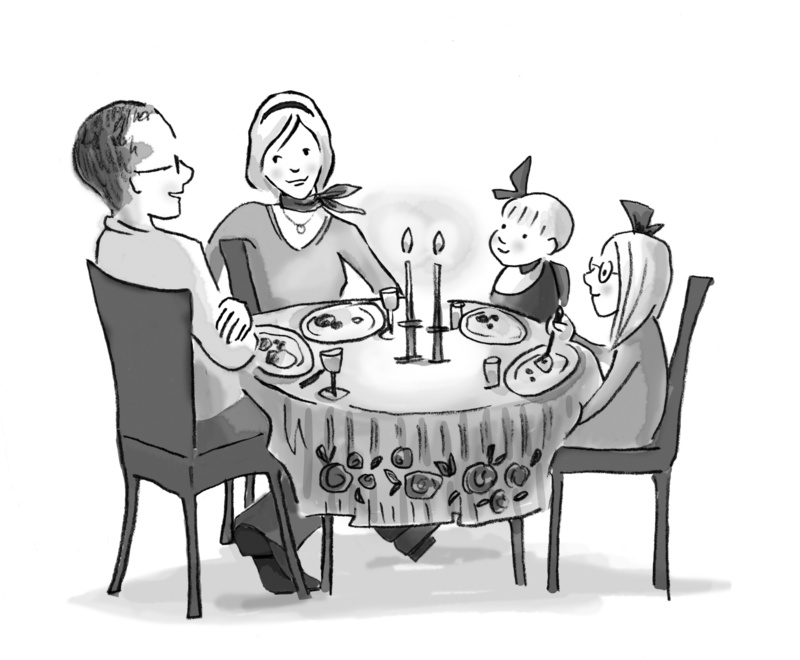 It also means that children eat a wide variety of food, are comfortable eating new foods, are sensitive to their body’s own signals (for example, knowing the difference between being satiated and being full), have age-appropriate self-control around food, and develop an innate sense of balance with respect to quantities and types of food that they eat. Inspired, I decided to apply these rules to my own family. French Kids Eat Everything tells the story of our personal experiment with French food education. There were many hiccups and false starts, but (ultimately) a happy ending: rethinking how we eat has also brought us closer together as a family. Karen Le Billon was born in Montreal (Canada), and has divided her time between Vancouver and France for the past two decades. A Rhodes Scholar, Karen holds a PhD from Oxford University, and is the recipient of numerous awards, including a Canada Research Chair and Canada’s Top 40 Under 40 award. Fluently bilingual, she has studied and taught at universities in both France and North America. She is currently a Professor at the University of British Columbia. Karen blogs on France, food, and parenting at FrenchKidsEatEverything.com, where she runs the ‘French Kids School Lunch Project’, a Tour de France of school lunches in France aimed at inspiring school lunch reform in North America. As a result of her work, she has been selected as one of the Jamie Oliver US Foundation’s Real Food Advocates. We celebrate Easter ’round here. It’s not something my (lapsed-Catholic) husband and (non-religious) I even paid attention to until we became parents. But the whole concept of the Easter bunny is too much fun for our son to miss out on. We don’t celebrate in a traditional sense: I guess you could say that it’s complicated. Anyway, we welcome the coming of spring. If you live around here, you know that we experienced some summer in March: about 10 days of 80 degree weather. That was trippy to say the least. I’ve been on spring break this week and I’ve had lots of extra time to enjoy my son, but the weather has been a shockingly normal ~40 degrees. It’s a bit hard for me to go back and find my winter coat — that little reminder of summer spoiled me. Luckily, I can tell my son to wear a jacket and he’s more than happy to oblige, especially when it looks like a firefighter’s jacket. Holidays involving food are a bit tricky for us since Charlie and I gluten free and cow dairy free (now for 15 months!). I’m also not going to deprive my son of Easter candy — I just find the good stuff. In his Easter basket this year he’s going to find: Surf Sweets jelly beans, Annie’s organic fruit snacks (bunny shaped! ), and Yummy Earth lollipops. I also picked up a little kiddie spade and shovel so he can dig in the garden with me. I’m going to tell him that the Easter bunny wants him to plant some carrots like we did last year. He’s going to love it! We’ve been reusing the same Easter basket year after year. It’s a robot one in a felt-like material I got from Target. I’m also reusing the same fake grass and the same plastic eggs, though I did have to buy a couple more fake plastic eggs because we’ve lost a few over the past couple years. They are great for playing in the bath (many have little bitty holes in the bottom, which are fun) and for use as hiding places for special little treasures. I haven’t decided if we’ll have time to dye real eggs, but if we do, I’m going to follow Spoonfed’s directions or those from SimpleBites. Have a nice holiday (if you celebrate)! I went to Expo West in early March in Los Angeles. A natural products convention might be a weird place for a school food reformer to be, but you might be surprised to learn who was there. I went with my buddy Andrew Wilder from the blog Eating Rules. If you peruse Andrew’s blog, you’ll find out that he and I share similar opinions about not only school food, but also reforming our country’s food system in general. While I was at Expo West, I bumped into Mud Baron. He’s the school gardening guru of LA county and also semi-famous on Twitter. Actually, originally I met him on Twitter, which he uses quite expertly to get seed and plant donations for LA schools. Recently he’s been holding “#plugmobs” across LA — a gardener’s version of a flashmob. Educators and students show up and get seedlings to plant in school gardens. How can you not love Mud? Lastly, I walked right by Representative Dennis Kucinich of Ohio. Go ahead and read up on him — he’s an amazing human being. I saw him walking in the crowd and in an instant decided to turn around and introduce myself to him, because I thought I might not have that chance again. He recently lost his bid to return to Congress and I just wanted to thank him for his service to our country. Andrew was with me and nudged, “You’ve got a copy of your book, why don’t you give him it?” Um, duh. “People Before Profit” details the history of Bob’s Red Mill, Bob’s philosophy about whole grains, the values of the company and how they developed, and other interesting information about his employees. Most movingly he discusses how in 2010 on February 15th (his birthday), Bob gave his company to his employees. 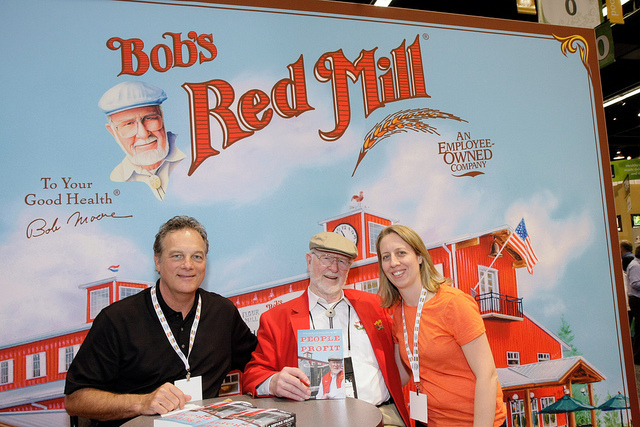 Bob’s Red Mill is entirely employee-owned! I find that to be a refreshing approach to business. It was such an honor to meet Bob!